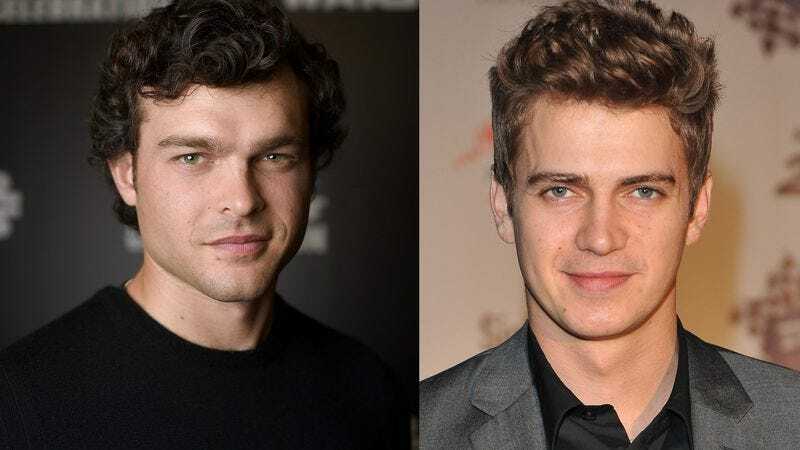 The Star Wars Celebration that took place in London earlier this month gave fans a more in-depth introduction to Alden Ehrenreich, who was recently crowned the new/young Han Solo. Unfortunately, directors Phil Lord and Chris Miller didn’t actually reveal any details about the Star Wars spin-off, but there was a lot of talk of various Star Wars cast and crew members making appearances in the new films. Episode VIII director Rian Johnson has a cameo in Gareth Edwards’ Rogue One, with Lord and Miller set to appear in some capacity in Johnson’s Star Wars movie. Other guest appearance rumors have cropped up, naturally, including the possibility of a young Han Solo zipping past Jyn Erso (Felicity Jones). But according to Star Wars Underworld, Rogue One director Gareth Edwards actually shot down the idea at the Star Wars Celebration, telling reporters that “I’m not sure if I’m allowed to do this, but I think I should…. Han Solo’s not in the movie.” And there’s more bad news—although he’s eager to return to the franchise, Lucasfilm president Kathleen Kennedy succinctly denied that Hayden Christensen would his role as Anakin Skywalker in Rogue One: “No. That is not true. I can confirm that. He is not.” This leaves just James Earl Jones and a couple of really tall stand-ins to depict Darth Vader, whose role in the film was confirmed last month. Somehow, we think they can handle it.